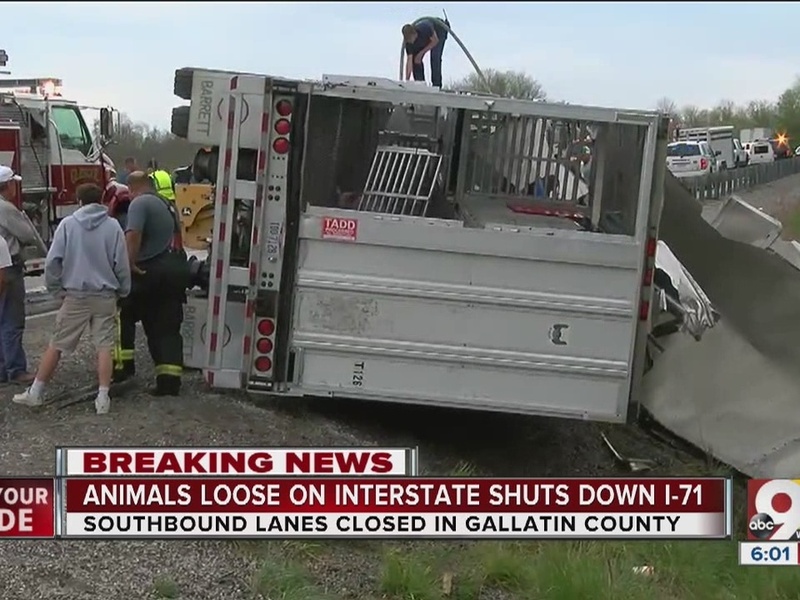 GALLATIN COUNTY, Ky. — Traffic on Interstate 71 in Northern Kentucky was taken down to a crawl late Thursday afternoon after a crash caused a fuel spill and set loose nearly 150 pigs. Scott Miller, the truck's driver, said he was hauling 146 animals from Wilmington, Ohio, to a slaughterhouse. Miller said he was moving into the left lane when he saw a car barreling down the berm. That car ricocheted off the wire barrier, Miller said, and he lost control when he tried to avoid being hit. 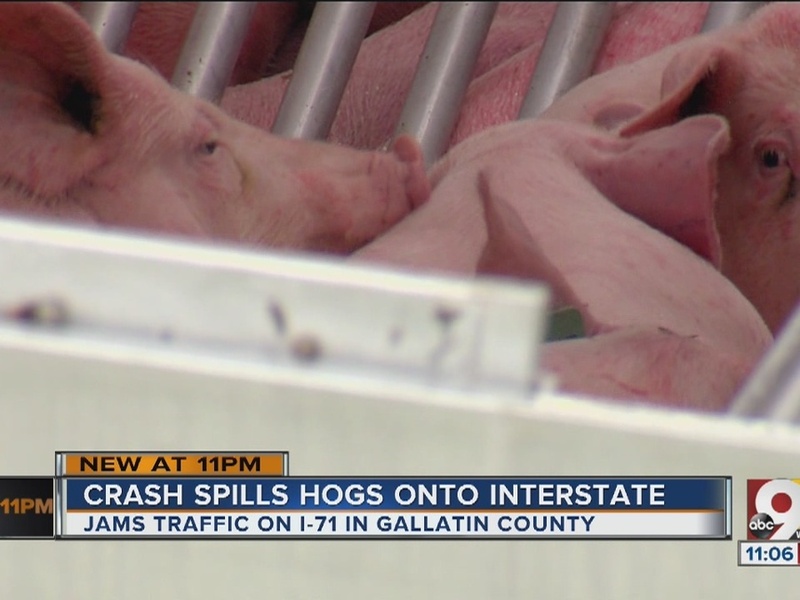 The crash closed lanes in both directions for several hours as authorities worked to round up the surviving pigs. "I was lucky I was wearing my seat belt," Miller said. "It all kind of happened so fast, I was very fortunate I was wearing my seat belt and stuff. At the time the truck flipped over, I was just kind of riding it out and seen what happened, what happened." Neither Miller nor the car's driver was hurt. Authorities re-opened all lanes to traffic around 5 p.m.
Kentucky State Police are investigating, but no charged had been filed as of Thursday night.